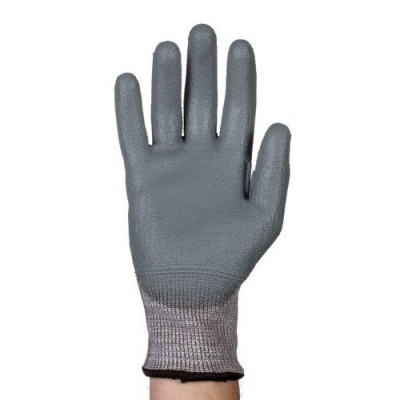 Highly resistant to all mechanical hazards, the Tornado VIT Vitra Industrial Safety Gloves are ideal for most high risk environments and approved for use in the glass industry, as they guarantee zero contamination. 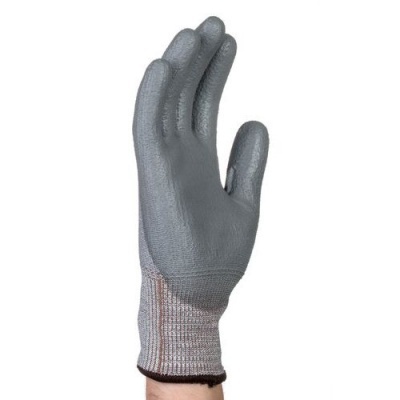 They are treated with CPU technology to prevent skin irritation, HDPu to extend product life and anti-bacterial technology for improved hand hygiene. 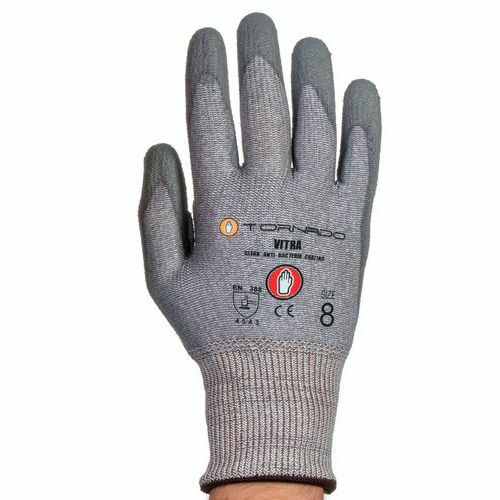 The Vitra Industrial Safety Gloves are available in three sizes that should suit the hands of most users. Please measure the circumference of your hand around the knuckles (excluding the thumb) with your hand open and your fingers together, and the length of your hand from the tip of your middle finger to your wrist.